Nothing goes together quite like brews and baseball and we’re thrilled to announce the re-release of two fan-favorites just in time for the 2018 Major League Baseball season. Once again, we’re partnering up with the San Francisco Giants to share our limited-edition collaboration brew, Los Gigantes, a crisp, clean, crushable Mexican style lager that’s perfect for game day. Additionally, we’ll be releasing a new limited-edition Anchor Steam San Francisco Giants 12-Pack, putting a fresh spin on a classic beer. First brewed in 2017, Los Gigantes was inspired by the vibrancy and diversity of the city and the Giants’ fan base today. An easy-drinking beer, it combines a light maltiness with crisp, refreshing flavor, making it a perfect ballpark brew. Anchor Steam Beer, on the other hand, dates back to 1896 and represents San Francisco’s rich, storied past. It owes its deep amber color, thick, creamy head, and rich, distinctive flavor to a historic brewing process like none other. 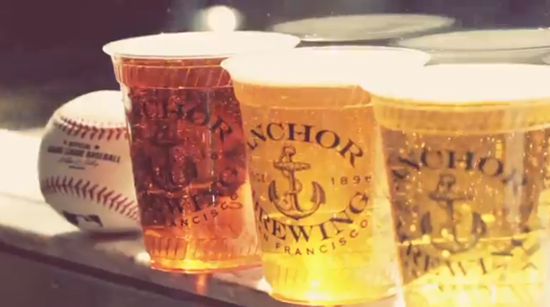 A timeless San Francisco brew, Anchor Steam is perfect for cheering on the Giants, a quintessential San Francisco team. “True Giants fans know that Los Gigantes is a beloved moniker for the San Francisco Giants, and it perfectly suits our Giants-inspired Mexican style lager,” said Anchor Brewmaster Scott Ungermann. Los Gigantes arrives in select markets just in time for the 2018 Major League Baseball season on draft and in 12 oz. and 16 oz. cans. The packaging boasts a strikingly unique Los Gigantes design that Giants fans have come to know and love. The beer is available in Northern California and Northern Nevada at select bars, restaurants, and stores including Bel Air Market, BevMo, Lucky, Nob Hill Foods, Raley’s, Safeway, Save Mart, Total Wine & More, Whole Foods, and Winco Foods. Los Gigantes is also available on draft at the Anchor Brewing Taproom and Anchor Public Taps in San Francisco. The limited-edition Giants Anchor Steam 12-pack features the team’s colors and logos, inspiring fans to “Get Your Orange On.” The commemorative 12-pack is available now and throughout the season while supplies last at major grocery outlets, including: Bel Air Market, BevMo, Lucky, Nob Hill Foods, Nugget, Raley’s, Safeway, Smart & Final, Whole Foods, and Winco Foods throughout Northern California and Northern Nevada. 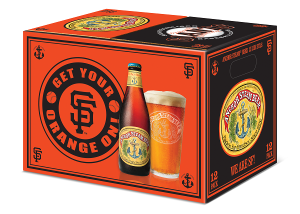 Find Los Gigantes and the limited-edition Anchor Steam San Francisco Giants 12-Pack near you using the Anchor Beer Finder. Los Gigantes is delicious and that design is sick!